I have not done all the trails in Maryland but these are the memorable ones that I have done that are easy to locate. Many of the places I have hiked were along rivers or shorelines where there were no trails. Some of these required walking in the streams or in the shallow estuaries. It was all fun. But the ones listed here can all be found on maps and are in general well marked, though it is easy to get sidetracked on the fascinating Billy Goat Trail. 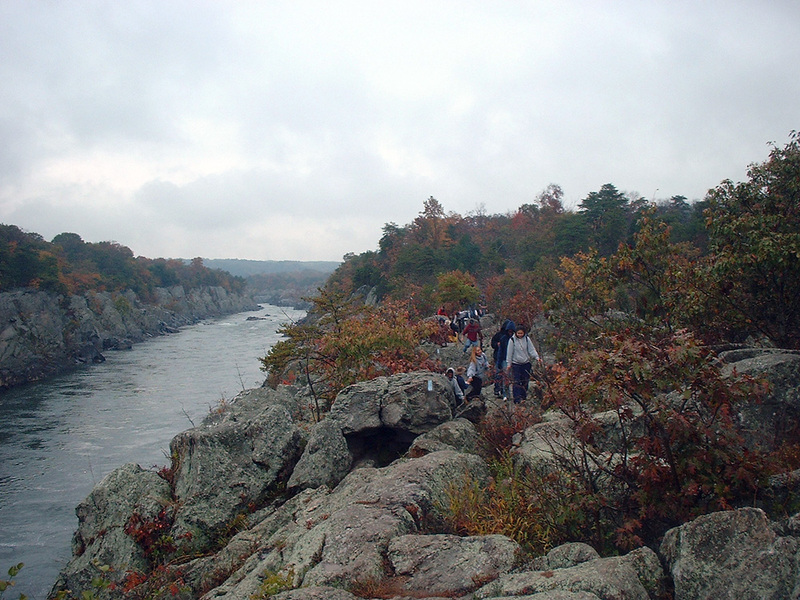 Billy Goat Trail – challenging and rocky hike along the Potomac River. Great geology, great views, and a beautiful river. Catoctin Furnace Trails – wooded and rocky area. Great on a hot day. Maryland Heights Overlook – high above Harpers Ferry – steep. Federal Hill – great views of downtown Baltimore and the Inner Harbor – especially at sunset. Saw Mill Trail – Patapsco Valley State Park. Susquehanna Trails – Susquehanna State Park or Rocks State Park. Annapolis Rock – Appalachian Trail near Gathland and Greenbriar state parks. Sugarloaf Mountain Trail – great rocks and great views in all directions. McKeldin Switchback Trail – Patapsco Valley State Park. Lewes to Rehoboth Trail – yes this is in Delaware but it is a great trail, flat and scenic through wetlands. Great for biking. Gives you a great feel for the Coastal Plain. If you like flat and wide, take a walk or bike ride on the C & O Canal or the NCR Trail. Lots of scenery going and coming back! Please send me your suggestions as to the best bike trails in Maryland via ned@sustainable.us or send in a blog post describing it to www.SavingThePlaces.com. Take-a-way: These are 10 great excuses to get outside this spring and explore the wonderful state we live in. By nedtillman2 in Farmlands, Forests, Meadows, Rivers on April 15, 2015 .